Many couples nowadays dream of tying the knot on the beach, where they can enjoy the pristine view and the cool breeze. When it comes to planning your beach wedding, time and money will always be in control. You do not have to spoil your dream beach wedding just because you are short on budget. 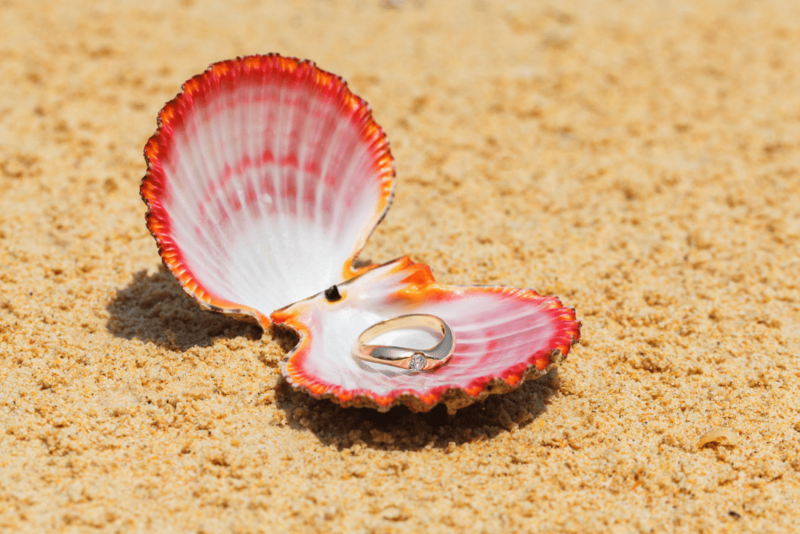 You can still bring fun and happy memories when planning a beach wedding on a budget. There are six ways you can make your wedding memorable without breaking the bank. How to plan an affordable beach wedding? The first thing you need to consider when planning for your beach wedding is the location. Most beaches are windy so you need to choose the area where you can be protected from direct winds. You should also be aware of the tides getting prior information. 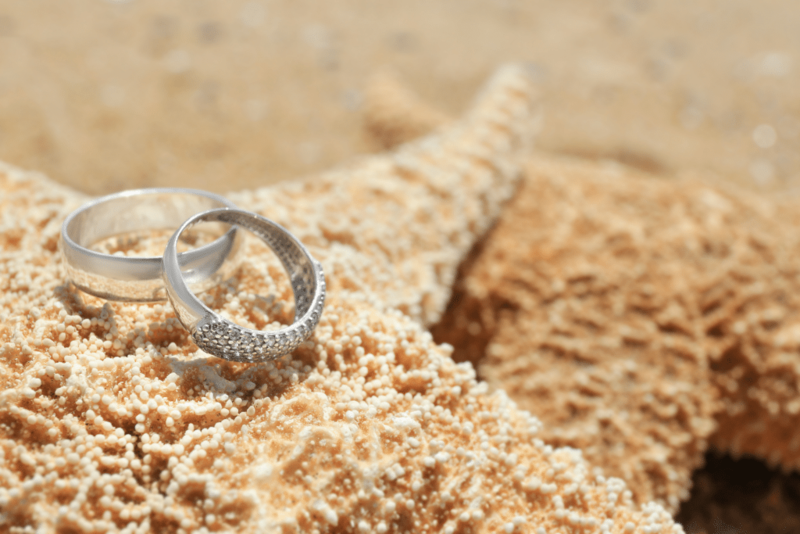 A beach wedding can be hot depending on the time of the year you choose to get married. Make sure that your wedding attire suits the occasion. If it is a summer beach wedding, you might want to wear wedding attire made of light fabric material. For couples on a tight budget, full gowns may not be an option. Choose casual beach wear or airy dresses. You can even make your wedding out of the ordinary by going barefoot. Since you are trying to work on a small budget, you need to consider a limited guest list. Decide how many guests you are planning to invite. While some wedding venues may require special permits, they may not be necessary for informal weddings. To be sure, you will need to check with local authorities. You can also coordinate with wedding companies so you will get some recommendations for customizing your guest list. As much as you want a free open bar for your guests, your budget may not permit it. This does not mean your guests will not enjoy your beach wedding. There are less expensive drinks such as tropical cocktails. It is a good celebratory idea which allows you to stick to your budget without spoiling the fun. There are no rules when it comes to choosing your wedding cake. You can explore your options and try a different cake for a change. While it can be tempting to splurge on your wedding cake, you have to keep in mind that you have a small budget. Choose wedding cupcakes to mix things up a little. You will be surprised by all selection of creative cupcakes for you and your guests to savor. Since it is a non-traditional beach wedding, you can skip the standard wedding invitations, which may ruin your budget because of the printing and posting costs, and send the invitates via email instead. You save money and lessen the burden of sending out cards yourself. Just because you are planning a small budget beach wedding does not mean you will sacrifice quality and grandeur. While sticking to your budget may be easier said than done, it will not be as hard as you think if you plan ahead. Cross off busy seasons and weekends on your list so you can keep your budget under control. Even on a small budget, you can still make your dream beach wedding memorable. With careful planning, you will be able to celebrate your most special day with your loved one. For information about a beach wedding and all the services offered, please contact us here.